Cuatroochenta has made a qualitative leap exceeding 25,000 downloads of one of its applications, which has became the most popular one in its first year of trajectory. It is the EMT Valencia application, the most handful tool to get around the city of Valencia in a sustainable and fast way. Since the Municipal Transport Company of Valencia launched it last October, the application developed by Cuatroochenta has exceed 16,400 users on its Android version and 9,000 on iOS (iPhone), which altogether makes 25,400 users. Moreover, the application has a rating of 4.5 out of 5 on Android, which has over 200 reviews praising its usefulness. The official EMT Valencia App offers free information about schedules, routes and bus stops, subway, tram and bike rental service (Valenbisi), plus information to move on foot or by personal bike. In a quick and easy way, users can calculate their routes, know when the next bus is coming (through the QR code at the bus stop), consult the card balance, and locate points of sale and save their most visited places in order to facilitate its use. It is available in Spanish, Valencian and English. As EMT highlighted, “the great reception and fast acceptance is due to the great usefulness of the application to know how to travel through Valencia by using the Smartphone, regardless of where the user is”. 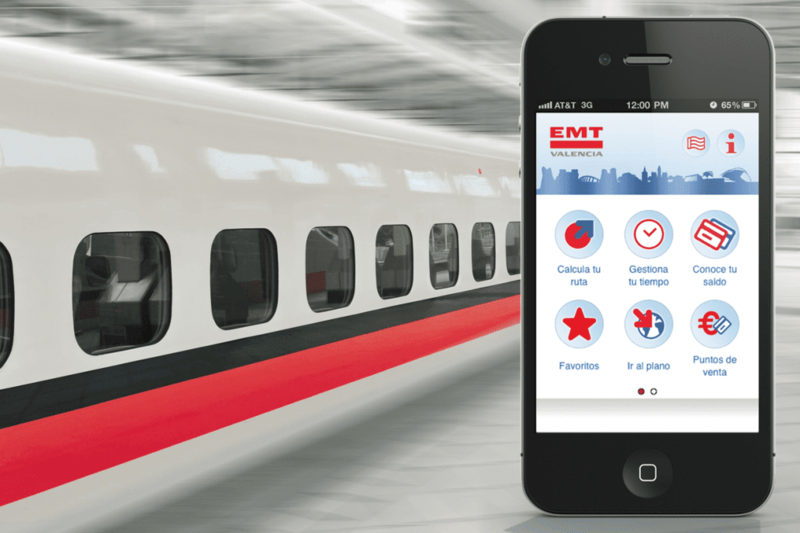 The application is available on Google Play, Apple Store or through the QR code on the EMT website and at all stops of the Valencia transport network.